A team of professionals is at your service to examine your specifications and help you to implement your commercial strategy. ImmoStreet.ch provides you with publishing solutions tailored to your needs. 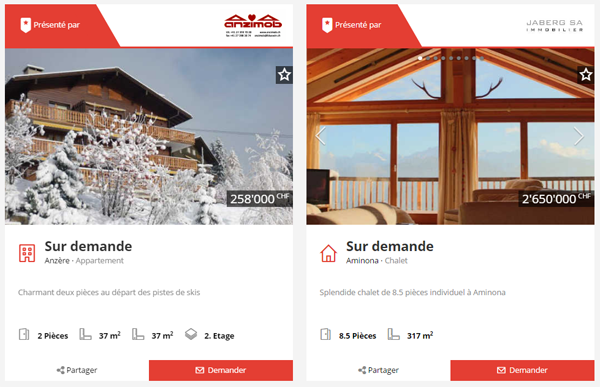 With an optimised design and exclusive functionalities, the ImmoStreet.ch website is the easiest to use, most intuitive and innovative Swiss real estate portal for internet users actively searching for property. List your property thanks to a new optimised recommendation engine. Your adverts are disseminated dynamically to a wide and targeted audience. Set yourself apart from your competitors by posting your logo and showcasing your brand on the results and details pages. Attract the maximum amount of traffic with posts on all the pages in the reserved area and on all devices (PC, smartphone, tablet). MyImmoStreet.ch provides you with solutions and services to measure the success and help you optimise your adverts.